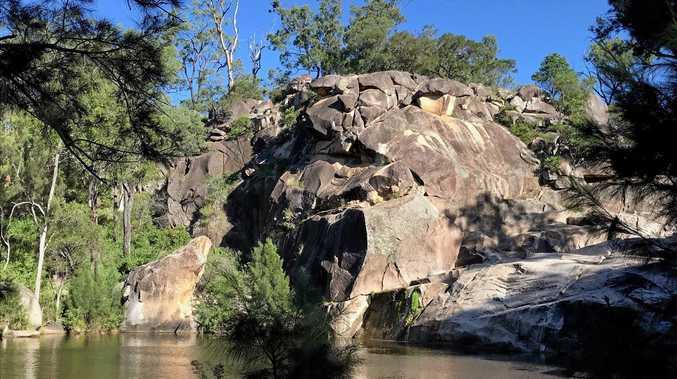 AFTER the tragic death of another person at Coomba Falls on the weekend, council has responded to the opinion of many that the waterhole should be off-limits. South Burnett Regional Council Mayor Keith Campbell sent his deepest condolences to the family of the 46-year-old Benarkin North man who died after jumping from the rocks. "Our thoughts are with the man's family and friends," he said. 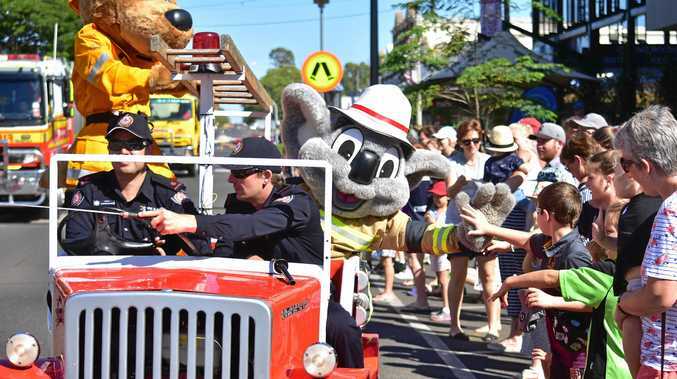 "The loss of a loved one is always tragic and on behalf of South Burnett Regional Council and our community, we join with the family at the time of their grief." Cr Campbell said the council would work in association with police to assess the ongoing safety of the popular tourist spot. "Along with the police and our own officers, we will take an in-depth look at the reasons for the incident and what may need to be done to create a level of safety for the users of the Coomba Falls," he said. The weekend's tragedy was the second fatality in less than three years at Maidenwell's Coomba Falls after the death of Highfields man Blaze Alexander, 20, in October 2016. Cr Campbell said regardless of any current or future warning signs put in place at Coomba Falls, it is imperative users take responsibility for their own safety. "We would like users to respect that their own safety is in their care and control," he said. "Council will look at the signage that is there and establish if there is a need for any additional signage." The region's mayor said he was open to the suggestion of more signage, but he wasn't convinced that was the issue. "I am supportive of additional signage if there needs to be extra signage, but at the end of the day people will either observe or ignore the signs," he said. Talk of shutting down the popular spot for tourists and locals was quickly shut down. "I would be very loathed to shut off the Coomba Falls for use because council has invested quite a bit of money for people to come and have a swim," Cr Campbell said. "The reality is the Coomba Falls are not a dangerous place for a swim." Cr Campbell stressed the point that it is an unpatrolled swimming area. "We do ask that people will exercise a level caution and take responsibility for their own safety," he said. "If it looks dangerous and risky, don't do it."